Each year, a new food is brought to our attention and labelled as a ‘superfood’. In recent years, the likes of kale, sweet potato and quinoa have made the cut. However, eating healthy can sometimes be extremely costly, but is it actually worth the extra expenditure? To be a superfood, a product must give a high quantity of nutritional value and antioxidants. Here, we consider whether certain superfoods are all they’re made out to be. Okay, so maybe your workmates won’t appreciate you eating sardines in the office, but your body will. The little nutrient powerhouse may provide a strong scent that smacks you in the face, but they can go a long way in helping to reduce inflammation and promoting bone, heart, and skin health. In every can of sardines, there is more calcium than you’d find in a glass of cow’s milk. As well as this they are high in vitamin D and, like avocado, have a great omega 3 fatty acid profile. Some of its great qualities include immune-boosting properties due to its high amount of selenium. This is normally found on its skin, so don’t go skinning this fish! The skin also helps your skin, aiding conditions such as psoriasis. While this superfood will keep your belly full, it’s also a cheap option, making it a money-conscious person’s dream. 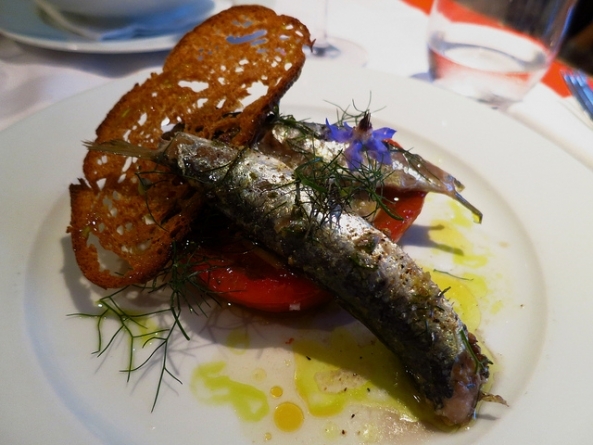 A recipe to rely on could be fresh sardines on toast with sweet pickled red onion. The taste and texture of an avocado have made fruit particularly popular. It’s becoming more of a major player in restaurant menus due to its easily adaptable approach to recipes. It offers a host of vitamins, including A, C, D, E and K, as well as folic acid, magnesium, potassium, Omega 3, lutein, and fibre. While some argue that this is a greasy fruit, this is due to omega 3 type which can in fact help you to lower your cholesterol which can prevent heart disease. The grease can be used instead of butter or oil when cooking and the actual flesh can also be used to create hair and face masks. Super, right? It’s a very adaptable fruit, but for those on a budget, why not try creating a cheap brunch of guacamole bread which can cost as little as 76p a head. If it’s a quick-digesting carbohydrate you’re looking for, choose mango! The tropical fruit offers an impressive 25 grams per one cup serving and is bursting at the seams with over 20 vitamins, minerals and antioxidants and is thought by many to be one of the tastiest ways to support a healthy lifestyle. The fruit can rapidly boost your energy at a time when your body needs it. 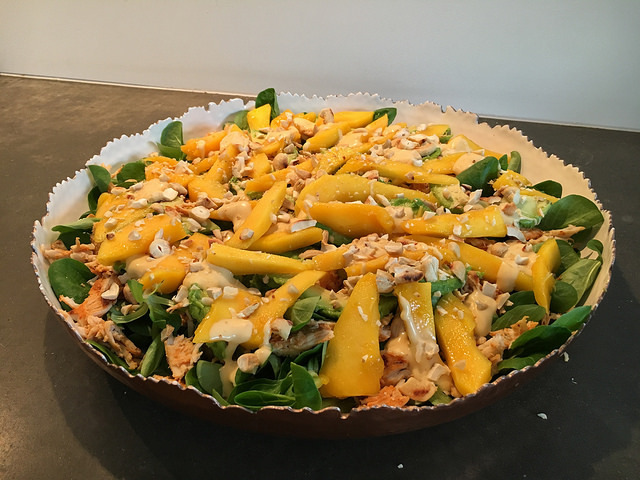 If a plain mango isn’t your cup of tea, why not create a chicken mango salad? It’s a great recipe to get the most out of the mango in a tasty, light and cheap dinner. Many mistake this seed for a grain. However, that doesn’t stop it being full with nutritional goodness. Featuring all 10 essential amino acids, quinoa is understood to be a complete protein which can help your muscles repair. Due to it being a complex carbohydrate, offering 46 grams each cup, it provides longer lasting energy. Quinoa is a gluten-free option that is higher in fibre than most grains. Unfortunately, though, it’s not all soluble fibre. It has a low glycemic index which can help be part of a lower calorie intake. With many believing quinoa is an expensive commodity, a quick and easy cheap recipe is spinach and mushroom quinoa. The sweet potato is an extremely popular powerhouse of nutrients. Jam-packed with carbohydrates, minerals and antioxidants, this orange tuber is a great source of potassium. This, according to studies, aids muscle tissue repair and can help prevent fatigue in your muscles. Their fibre content is higher than the average potato and, when combined with the likes of magnesium, the sweet potato can help improve your digestion. Elsewhere, they are an effective remedy to curing congestion of the nose, which can help relieve asthma and treat bronchitis. Other benefits are said to include a boosted immune system, helping to cure stomach ulcers, and maintaining the body’s water balance. Although sweet potatoes are often a more expensive alternative to the usual spud, it is possible to create a grow your own vegetables patch and save money while switching to a healthier potato: what’s not to love? If you want to try a new recipe, use the sweet potato to add a twist to the old staple shepherd’s pie. Simply replace the normal mashed potato topping with sweet potato and you’re onto a winner! Certain fads run the risk of dying out, but it appears that the superfoods mentioned above are here for the long haul. With so much goodness to offer, they don’t have to be part of an expensive recipe and by researching meals, you can incorporate into your diet without adding too much cost to your weekly shop. This article will look at whether organic really is better and also list meals that the superfoods can be used in to avoid the costs spiralling.